Even if you can’t make a cash donation to National Novel Writing Month, there are still many ways to fund our nonprofit programs. Create a Facebook fundraiser for NaNoWriMo. To keep yourself accountable during November and/or to celebrate your birthday whenever it is during the year, create a Facebook fundraiser for NaNoWriMo and invite your friends to donate. You’ll not only get the good feels for supporting NaNoWriMo, you’ll also get donor goodies based on the amount you raise! If you have any questions about fundraising via Facebook, please contact us via the “Help” link at the bottom of our site. Learn more about how to create a fundraiser. Put on a casual (or glamorous) get-together in your home or nearby community space to write, inspire creativity, and build community. Rather than—or in addition to—having your guests bring food or libations, ask them to make a donation (of any amount) to NaNoWriMo. Then, at your get-together, take lots of pictures and post them with the hashtag #NaNoWriteInParty so we can live vicariously through you. 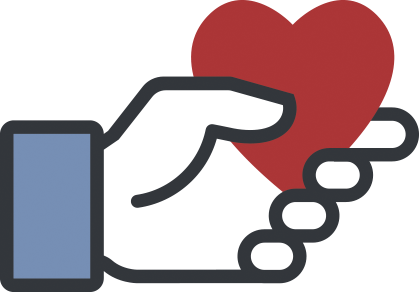 Create a Facebook fundraiser to invite your friends and collect donations. Give by shopping through AmazonSmile. Shopping through AmazonSmile automatically donates 0.5% of the price of your eligible purchases to NaNoWriMo—at no extra cost to you. To choose to donate to NaNoWriMo, click the button below, then log in to your Amazon account. Then just continue to shop. 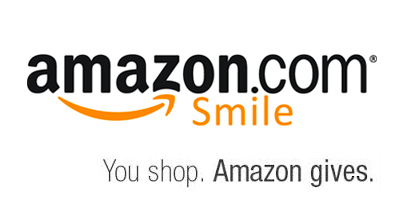 Make sure you shop through AmazonSmile every time you log on to keep contributing! Give by buying a custom scarf of your novel. Celebrate literary abandon with a unique, custom-made scarf featuring the words of your story. Yes, you can wear your novel around your neck! Litographs will donate $12 per scarf to NaNoWriMo, and they offer free shipping within the United States. Support NaNoWriMo by purchasing your custom scarf. Believe it or not, you can also help National Novel Writing Month by doing a favorite activity of every writer: buying books and writing supplies. Writer’s Digest will also donate 12% for each book purchase you make here. Amazon donates 1-10% of every purchase you make if you begin by clicking through this link, whether you buy the latest bestseller or a laptop. Donate through your daily activities. Use Goodsearch.com to search the web—you’ll earn a penny for NaNoWriMo with every search. Use Goodshop.com to shop online—choose from over 7,000 major stores (like iTunes, Barnes & Noble, and Target) and 100,000 coupons, and earn a percentage of each purchase for NaNoWriMo. Ask your company to match your donation. If you work for a sizable company, chances are good that your employer will match your donation. In the past, National Novel Writing Month has received doubled (and even tripled!) matches from companies like Apple, Google, Intel, JC Penney, Wells Fargo, and many more. Give by donating your car or vehicle. You can “drive” creativity by donating your vehicle through Donate Car USA. Your donated vehicle will be sold at auction, and the proceeds will go to NaNoWriMo. Have other ideas for this page? Drop us a line!